Checkout our EXCLUSIVE LINE featuring Mayvenn Hair Weave, Wigs, and Closures. (Scroll down for video review). Look your best for less when you shop Tracks & Tresses.. Introducing the only human hair on the market today with a 30-day exchange policy. 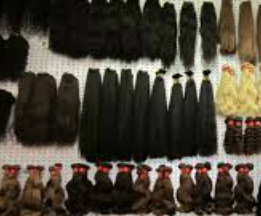 Learn about different types of weaving hair so you can choose the best hair for your new style. When you want to change your look, but not your natural hair, or take a break in between weaves - wigs are the perfect solution. Taking care of your weave or wig is just as important as taking care of your natural hair. Learn the in's and out's of weave and wig care, so you can always look "fabulous."